Our team includes accomplished industry experts who ensure that we cover hot topics and provide the most up-to-date and pertinent information on real estate. They offer unique perspectives and bring invaluable resources to the table. They are educators, brokers, lawyers, CPAs, and all around fun people who enable The CE Shop to deliver the most valuable real estate education in the marketplace. William Chris Alford is a seasoned real estate and banking professional with over 30 years of experience, ranging from commercial and residential sales and banking asset management to financial, education, and business development experience. Alford is also a co-founder of Alford Real Estate Services, which is a Kentucky-based company that provides commercial and residential real estate sales, consulting, and property and association management. He is a principal of Impact Training Inc., which provides real estate C.E. courses for licensed real estate professionals. Alford has managed a large real estate banking trust department of over $600 million in assets and opened two branch banks in South Carolina. His diverse background covers numerous real estate disciplines, including Director of the Kentucky Real Estate Commission and Founder, Instructor, and Executive Director of the Kentucky Real Estate Education Foundation, where his principal responsibility was to provide continuing education for over 25,000 licensees in the state of Kentucky. Alford currently holds a master’s degree in Organizational Development and Leadership from Forbes School of Business/Ashford University, and a bachelor’s degree in Business Education and Finance from Eastern Kentucky University. 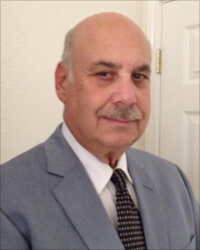 Charlie Alfortish is a REALTOR®/owner of Alfortish Realty; faculty member at Delgado Community College; and Certified Louisiana Pre-License Education Instructor. Alfortish began working with real estate professionals in 2001. He has taught and lectured throughout the state of Louisiana on topics ranging from real estate to entrepreneurship, management, and business communications. Alfortish earned his bachelor's and MBA in Technology Management from the University of Phoenix. In 2007, Alfortish joined the faculty at Delgado, developing a curriculum concentration in real estate. He earned his Distance Education Instructor certification from the International Distance Education Certification Center® in 2008. The National Association of REALTORS® certified Alfortish as an instructor for the At Home with Diversity course in 2014. He was a 2015 recipient of the NISOD Excellence Award, the most coveted award among the community and technical college educators. His current focus is on expanding professional development offerings for REALTORS® throughout Louisiana. Having over 35 years in the business world, the first half being dedicated to United Parcel Service and the back half devoted to real estate, Barnabei brings a wealth of knowledge, experience, and practical advice to every presentation. She has mastered business management, real estate investing, REALTOR® sales, and management of a highly profitable 150 agent office. She willingly shares her business and real estate savvy in every course she creates and presents. As a school owner and national trainer, Barnabei has over 35,000 hours of live presentations. She is recognized as one of the most inspirational speakers in her field, focused on getting students to take action that will make a difference in their own lives. Her passion for real estate has afforded her the opportunity to be a presenter on behalf of NAR and for associations and brokers throughout the country, including four years as a Keller Williams BOLD Coach. As a member of the national Real Estate Educators Association (REEA), she has served on the Board of Directors and is currently fulfilling her role on its Executive Committee. She also Co-Chairs and is lead instructor for REEA’s Gold Standard Certification IDW program, is the subject matter expert in Arizona for The CE Shop, and authored and hosts the Designated Real Estate Consultant online course. As a published author, her bestselling book "Multiply Your Business" presents ten new marketing realities for the real estate industry and is bursting with ideas for a new era of lead generation. Laurie Barrett has been working in the real estate and mortgage industries for 27 years and has experience in every side of the transaction as a Real Estate Paralegal, Title Insurance Manager, Loan Officer, and Director of Business Development, Education, and Recruiting. She is a certified Massachusetts real estate instructor, a past member of the Cape and Islands Education Committee, and a licensed real estate broker in the state of Massachusetts. Barrett now works as an independent real estate consultant, coach, and Loan Officer in the state of Massachusetts and has completed two NINJA Selling installations. Thom Brockett is a second generation REALTOR®, trainer, and business coach. A licensed broker in Maryland, Virginia, and Washington, D.C., Brockett is a senior instructor for GCAAR, an adjunct professor at Montgomery College in Rockville, Maryland, and serves as a board member and treasurer of Greater Capital Area Association of REALTORS. He is a consultant and subject matter expert for The CE Shop and coaches and trains agents at all levels. Brockett has managed sales offices for several brokerages, including Long & Foster, W.C. & A. N. Miller, and Weichert REALTORS®. He is an Integrity© Business Coach, Buffini & Company Mentor©, and a NAUI & PADI certified Dive Master and Advanced Open Water SCUBA instructor. Brockett was part of the Buffini & Company Advisory Board for the 100 Days to Greatness® program and was a featured Mentor in Buffini & Company’s Good Life magazine. He has contributed to various features in REALTOR® magazine, served on GCAAR’s Grievance and Forms committees, and spent seven years as the Training Director for Long & Foster’s DC and Montgomery County Regional Training Centers. Prior to real estate, Brockett was the Manager of Training Principles and Design and Associate Marketing Director for an international training and consulting firm. Amber Burke received her real estate license in 1996. Because she was so young, she felt she had a lot to learn, so she took nearly every class she could. Early in her career, Burke received several designations, including ABR, GRI, and CRS. She was recognized in REALTOR Magazine 2002 as one of the “30 Under 30.” In 2009, she received her local association’s “Realtor of The Year” award, as well as the Women’s Council of Realtor’s “Businesswoman of the Year” award. Burke has served on many board committees and currently serves as 2018 President-Elect for the Utah Central Association of Realtors to become the 2019 President. Cindy Chandler has her own consulting and training company, The Chandler Group, and has worked for numerous organizations in the areas of investment real estate, syndication, strategic planning, management, and marketing. She was formerly associated with The Cogdell Group, The Crosland Group, and Paragon Group, with responsibilities in commercial real estate in the areas of syndication, development, brokerage, property management, and training. Chandler has served as an expert witness in several real estate litigation matters and has been in real estate for 40 years. She is the author of two editions of The Insider’s Guide to Commercial Real Estate, published by Dearborn/Kaplan Publishing, and she has authored numerous continuing education courses taught throughout the southeast. In July 2011, she was appointed to the North Carolina Real Estate Commission and is currently the Vice-Chair. She has been a North Carolina Real Estate Commission-approved instructor for more than 20 years. Amy Chorew is a national real estate trainer experienced at helping managers and agents maximize the infinite opportunities that technology offers them. Chorew brings her talents to The CE Shop’s online curriculum, sharing her knowledge of the industry, progressive technology outlook, and risk management skills. Her unique ability to translate complex topics into easy to understand language has made her a consistently top-rated trainer throughout the country. Chorew's expertise in the area of social networking and the tremendous impact it is having on the industry has given agents and brokers the tools necessary to move from traditional marketing to web 2.0 marketing. She shows agents how to effectively and prudently use online video, Facebook, Twitter, LinkedIn, blogs, podcasts, and other multi-media tools to capture today’s buyers and sellers. With 40 years in real estate sales, training, management, and consulting, Roseann Farrow has personally trained and coached thousands of real estate agents, managers, and brokers who are lifted by her passion, humor, high energy, and dedication to the industry. A REALTOR EMERITUS, National REBAC trainer, and a “Master Instructor” at the NY State Association of REALTORS®, she provides independent training, coaching and consulting nationwide as Roseann Farrow Seminars. She instructs ABR, CIPS, CBR, CRB, GREEN, GRI, ITI, RSPS, and SRES, as well as online webinars. Farrow's varied real estate-related jobs and experiences have broadened her knowledge and scope and continue to help her think “outside the box”. She began her real estate career as a salesperson at Smitchger Realty in Cornwall, NY. After 7 years, she became a broker and moved to Kahn Inc Realtors, BH&G where she spent the next 13 years as Training Director and Sales Manager of the home office in Newburgh. Over the subsequent years, she was a corporate trainer/consultant for 4 separate real estate brands (Better Homes & Gardens, HFS (now Realogy), RE/MAX, and Prudential), she was the Northeast Regional Director for the marketing giant Merrill Corp., and she managed E&O insurance and home warranty sales throughout NY and New England for Home Security of America. In this latter capacity, Roseann procured a NY State P&C Insurance Broker License. As a broker/owner of his own independent real estate firm, Mike Gamblin has been a consistent top-producing real estate agent in the Treasure Valley for the last 22 years. He holds the GRI (Graduate Realtors Institute) and CRS (Certified Residential Specialist) designations. He has been instructing real estate agents since 1998. An avid believer in staying professionally involved, Gamblin has served as the president of the Ada County Association of REALTORS® in 1999 and was the 2004 state REALTOR® president. In 1999, Mike was the board forum chairman for the National Association of REALTORS®, where local REALTOR® boards met three times a year to discuss issues affecting them. Mike was formerly vice-chairman of the Idaho Real Estate Education Council, a division of the Idaho Real Estate Commission, in charge of monitoring and developing real estate curriculum for Idaho’s real estate agents and brokers. Mike opened Mike Gamblin Real Estate in 1992, a firm specializing in residential brokerage in the Treasure Valley. Gamblin remains the designated broker of the firm. In 2004, Gamblin opened the Idaho Real Estate School, which by 2008 was Idaho’s largest real estate school. Today, the Idaho Real Estate School instructs new agents entering the business, as well as offers continuing education and broker pre-license courses around the state. In 2013, Gamblin was appointed by the governor to be one of the four Idaho Real Estate Commissioners. In this role, he represents the West District of Idaho. Arthur Gary has been a real estate broker since 1979 and has taught real estate courses since 1983. Gary has given real estate courses throughout the northeast for various boards of REALTORS®, Century 21, the University of Southern Maine, GRI, and numerous real estate companies. He instructs the sales agent course, associate broker course, a sales agent exam preparation course, The Designated Broker course, a Maine non-resident exam prep course, and numerous continuing education and designation courses. Gary has been Education Committee Chairman for both the Western Maine and the Portland Boards of REALTORS®, as well as a Member of the Maine Association of REALTORS® Education Committee and on the Board of Directors of Tri-State REALTORS® Institute. He is past president of the Real Estate Educators Association of Maine, and past president and treasurer of the Portland Board of REALTORS®. He has been on the Board of Directors of the Maine Association of REALTORS® and a member of the Maine Association of REALTORS® Legislative Committee. He is presently treasurer of the Maine Association of REALTORS®, president of Maine CRS, Bylaws Chair for the Great Portland Board of REALTORS®, as well as a practicing real estate broker, real estate educator, and consultant. He has written student outlines and instructor texts for the associate broker and the sales agent courses. These outlines and instructor texts are being used by various instructors throughout Maine. Gary was twice selected as the Real Estate Educator of the Year by REEA Maine. His associate broker course was twice selected as the Pre-Licensing Course of the Year. The courses “You Worked Hard For Your License - Don't Let It Be Taken Away” and “Multiple Offers - The Licensee's Role” were each awarded the Continuing Education Course of the Year by the Real Estate Educators Association of Maine. Gary was also honored by being selected as the Portland Board of REALTORS® REALTOR OF THE YEAR for 1998. Julianna Giordano is a proud Native Floridian from Miami Shores. She's a broker/owner for International Palms Realty/The Giordano Group of Pembroke Pines (Miami/Fort Lauderdale) and a part-time international speaker/instructor. Giordano personally specializes in helping buyers and sellers in South Broward County, though her team sells everywhere throughout the Miami-Dade and Broward Counties, with referral connections throughout the state. As a Listing Specialist/Seller Representative, she is recognized for pricing properties accurately and helping sellers achieve top dollar. Her pricing strategies (as well as other articles) have been featured in national publications. Giordano has been an adult educator for well over 20 years and has served her peers as a former Education Director, the Chairman of the International Committee, and as a member of Contracts, Governmental Affairs & Professional Standards Committees. She's very involved with both her local and state associations. Giordano's agent training specialties include Risk Management, Negotiating, Contracts, and Core Technology. She also teaches Pre- and Post-Licensing, Core Law, and has a great reputation amongst her peers as one of the best new agent trainers in the industry. A New Orleans native, Lloyd Hampton has lived most of his life in Houston, Texas. Lloyd received a Bachelor's of Science in Business Technology from the University of Houston, and entered the real estate field in 1980 selling new homes, where he quickly won top sales awards and top honors for production. He is a current member of the National, Texas, and Houston Associations of REALTORS® and currently serves on the Houston association’s committees on profitability, risk reduction, and contracts. Hampton entered the real estate education field in 1987 and teaches a full spectrum of courses, including basic principles, property management, finance, mortgage origination, marketing, agency, investments, and law and exam preparation. He is a Life Member of the Texas Real Estate Teachers Association (TRETA) and has received that organization’s Certified Real Estate Instructor (CREI) designation. He is also a Certified Distance Education Instructor through the International Distance Education Certification Center. Hampton is a sought-after consultant, expert witness, trainer, and public speaker, with over 50,000 podium hours. Lloyd Hampton is author of "The Art of Negotiation," and a contributing editor of Essentials of Real Estate Investment, eighth edition, by David Sirota, and of the online edition of Property Management, eighth edition, by Robert C. Kyle. He has also published numerous articles on real estate related topics. Ken Horner is the co-founder and CFO of The CE Shop, Inc. Horner's experience as an attorney and a Certified Public Accountant bring invaluable resources to our curriculum and students. Horner practiced law for seven years in North Dakota, where his practice focused primarily on providing legal advice regarding real estate matters. Further, while practicing law, he was the course instructor for various continuing education courses for the North Dakota State Bar Association. Bill James has been a real estate appraiser for more than 40 years. He holds an MBA degree from the University of Denver in Real Estate and Construction Management and the MAI appraisal designation from the Appraisal Institute. His company, James Real Estate Services, conducts appraisals and market studies on a wide variety of rural, residential, commercial, and investment properties. James has taught appraisal courses at the University of Denver, the University of Colorado, the Denver Metropolitan Commercial Association of Realtors, and the Colorado Association of Realtors. James has been an active member of the Appraisal Institute, serving as Chair of the General Appraiser Council and the Admissions Appeals Board, a member of the Board of Directors, the Regional Ethics and Counseling Panel, and the Appraisal Standards Council. JoAnn Kokindo has been a REALTOR® since 1984. A lifetime top producer, she loves sharing her ideas and wealth of knowledge with others. Kokindo has experience editing the Virginia Real Estate education textbook and has been teaching the Principals and Practice course for over 12 years. Her greatest joy is enabling her students to reach their top potential and many of her students consider her to be the best instructor they ever had. The Virginia Real Estate Board advocates for Kokindo and her expertise in the following fields: Abstracting, Appraisal, Brokerage, Business Law, Comm Lend, Contract Law, Econ, Feasibility Analysis, Finance, Investments, Land Plan/Use, Law, Math, Principals/Practice, Prop Law, Prop Mgmt, and Urban Dev. A real estate professional since 1979, George Lawrence has varied and extensive experience in the world of real estate. During his career, he has specialized in commercial, apartment, and agricultural property sales and financing, owned and operated a full-service property management company, was employed as corporate manager of an international real estate group responsible for operations oversight and training curricula, and, as vice-president of marketing for a national lending industry asset management services company, was responsible for developing strategies and systems for the satisfactory resolution and disposition of mortgage lenders’ non-performing loans and real-estate-owned properties. Today Lawrence divides his time as owner-broker of a commercial real estate mortgage brokerage, providing lending solutions for property buyers, sellers, and owners, and offering education and training for real estate professionals. 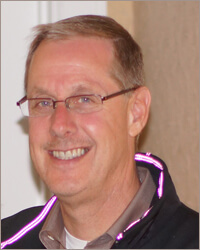 He has developed and written a number of real estate training courses and publications and serves on the Master Instructor faculty of the California Association of REALTORS® providing live lecture classes at venues throughout California, as well as through C.A.R.’s “LearnMyWay®” webinar technology. For over 40 years, Jill Malloy has lived and breathed real estate. Her experience spans sales, management, training, and education. She has served as the training director for major real estate firms in the Washington, D.C. metropolitan area. For 14 years, she was an independent consultant, coaching, training and customizing education for her many clients. During her career, she has personally trained and coached thousands of real estate agents, managers, and brokers. An approved REBAC instructor and a REALTOR EMERITUS, Malloy has traveled inside and outside of the United States helping brokers, managers, trainers, and salespeople to improve their knowledge and skills. Janelle Malone has been working in real estate since 2004 and opened her own brokerage and property management company in 2011. A licensed instructor and coach, Janelle contracts with major national brands to teach their agents valuable real estate and lead generation skills. She also coaches them to use proven models and systems which help them excel in their career. Brent Maybank has been a REALTOR® since 1999 and a principal broker since 2004. Since starting his real estate career, Maybank has served on the Board of Directors for his local association and state association, as well as for his Regional MLS. Maybank became a certified instructor in Tennessee by both the Tennessee Association of REALTORS® and the Tennessee Real Estate Commission in 2006. He is still very active with his local and state associations and teaches continuing education classes throughout Tennessee. He also serves as the Educational Director to over 700 agents in his firm. Michael McAllister’s real estate career began the summer after his freshman year of undergraduate studies with a desire to join the family real estate ventures. As an active investor, educator, and broker, McAllister was instrumental in the building of several Internet technology businesses prior to co-founding The CE Shop, Inc., where he has been able to combine his love of real estate, education, and technology. His entrepreneurial spirit and enthusiasm are what drive the growth of the business. Lucy Michaud is an Assistant Extension Professor at the UConn Center for Real Estate and Urban Economic Studies. She is also working with the Center as a liaison to the Connecticut Department of Consumer Protection. She conducts seminars on real estate law and ethics to various associations and professional groups. Samantha Reeves is a REALTOR® and the senior real estate and home buying expert at a mortgage company specializing in VA loans. As a prior loan officer, Reeves brings her vast experience dealing with the VA home loan all the way from initial application to loan funding. She knows how the system works and brings you information and tips on how to make your VA home loan transaction go as smoothly as possible. Ed Riggins is a Senior Vice-President in the Atlanta office of Cresa, where he has often been among the firm's top producers nationally since moving his practice there in 2000. A real estate veteran who began his career in 1984, Riggins provides real estate advisory services to corporate clients. Prior to joining Cresa, Riggins worked on the agency (landlord rep) side of the business, representing both institutional and entrepreneurial landlords. Applying a unique combination of human relations skills and technical abilities, he approaches each client project with creativity, market intelligence, optimism, and humor. Riggins is a Life Member of the Atlanta Commercial Board of REALTORS®. He speaks on a variety of topics to business groups, has taught continuing education courses since 2001, and has performed live improv and stand-up comedy. His articles have appeared in many business and professional magazines. He is a graduate of Auburn University and is among less than 1% of practitioners nationally to hold both the SIOR and CCIM designations. Riggins has also completed Harvard's Program on Negotiation. See his website for more details. BJ has held a Brokers License for 36 years. He is the President of Rosow Education and a Broker Associate for Rosow REALTORS®. His family has been involved in real estate for 91 years since his grandmother started her company in 1927. BJ's career teaching real estate started in 1981, and he has since written training manuals and curriculum for numerous real estate schools and firms. He was also a regular guest lecturer at The University of Texas at Austin. In addition to real estate, BJ is a successful entrepreneur, having built a 60-million-dollar company from the ground up. David Rosow is a licensed real estate broker in Texas and has been a REALTOR® since 1973. Throughout his long career in real estate, he has specialized in Residential, Commercial, Leasing, Training, and has managed several offices for a non-franchised agency. David is a third generation REALTOR®, and his grandmother started their company in 1927. David is a CDEI (Certified Distance Education Instructor) and has been the V.P. of Professional Development for several large real estate companies. David has been very active in the local board of REALTORS® and the Texas Association of REALTORS®. He has held several positions of responsibility in each organization. In addition to teaching at real estate companies, David has taught at several proprietary real estate schools. In the late 1970s, David started a real estate proprietary school in San Antonio. Presently David is CEO of Rosow Education and Rosow REALTORS®. David and his wife Deri live in San Antonio. They have three children and five grandchildren. Solecki has been a REALTOR® since 1994. Currently an independent Texas broker, she has worked for three companies before going out on her own in 2012. Solecki now serves on the Board of Directors for Metrotex Association of REALTORS®, as well as a director of the Texas Association of REALTORS®. She has also served on various committees and task forces. She teaches CE and certification courses at the local board and for other brokerages. Solecki also teaches aspiring licensees Qualifying Education courses at Tarrant County College and writes curriculum courses in her free time. She was a co-author of two TAR award-winning courses in the Professional Development category. Solecki has a passion for training and sharing information with other professionals in real estate. She was given the opportunity to teach and help agents at the various brokerages where she practiced. She knows that knowledge is power and has a great desire to see others succeed. She says it’s amazing when you see students get that “ah ha” moment and pass that excitement of creation and implementation on to their business. She is a big advocate for keeping our profession professional. Solecki believes that through education, we can create amazing agents, clients, and consumers. William Sparkman has been actively involved in the real estate industry for more than 30 years. Sparkman brings a wealth of practical experience and expertise from many facets of the business, including that of a sales professional, managing and designated broker, developer, educator, and expert witness. Sparkman has been an active member of the National Association of REALTORS® with service and outstanding achievement on the state and local level with the Montgomery Association of REALTORS®/MLS, Alabama Association of REALTORS®, Haywood County (N.C.) Board of REALTORS®, Western North Carolina MLS, North Carolina Association of REALTORS®, and Triad (S.C.) Association of REALTORS®. After graduating with honors from the Citadel in Charleston, SC in 1968, Strobel began teaching in SC. In 1984, he received his real estate license and by 1987, he had become a real estate broker. He also owned and operated a manufacturing corporation from 1977 to 1995. In 1995, Strobel made real estate brokerage his full-time career. With the background in education, business, and real estate, it was only natural that he gravitated towards real estate education, so in 2001, he was certified by the South Carolina Real Estate Commission as an instructor. In 1997, he was among the first real estate brokers to earn the Accredited Buyers Representative Designation from the Real Estate Buyers Agent Council of The National Association of REALTORS ® and in 2007, he became certified to instruct the ABR course. Strobel also earned his GRI in 1998. He brings a great depth of knowledge with respect to South Carolina. Prior to real estate, Pat Strong was in the title business as an escrow manager. Strong began her real estate career in 1980, obtained her broker’s license in 1983, and has continued her education throughout her career. Strong managed offices ranging from eight to 75 agents in various cities in Texas. She was the national trainer for Century 21 for six years and then was promoted to Franchise Service Director. One of Strong's accomplishments following this employment by corporate was managing Judge Fite’s Arlington office for Century 21, and for several years, she was in the top ten offices, out of 6,600 offices in the world, for closed transactions. Strong retired from Arlington in 2005 to pursue her education passion, and she is now a full-time independent instructor and coach. She trains and coaches both agents and brokers. Strong was awarded TAR Educator of the Year and inducted into the REBAC Hall of Fame. She also served four years on the Education Standard Advisory Committee for TREC. In 2017, she served as president of the Texas chapter of REBI, formerly known as CRB. Strong is currently teaching REBAC, CRB, Legal I and II, and Broker Responsibility courses. Zane Sullivan, a Montana native, graduated from Montana State University with a degree in Psychology, and from the University of Montana School of Law with a Juris Doctorate degree, before joining a Missoula firm to practice business law. Following several years of practice in the areas of real estate and business law, he became involved with the title insurance industry as president and general counsel of four title insurance offices in Montana. Later, he served as president of Insured Titles in Missoula, where he supervised more than 10,000 real estate transactions. He is currently the senior member of Sullivan, Tabaracci & Rhoades, P.C., a law firm specializing in business and property law. A significant portion of his practice is devoted to the representation of REALTOR® Boards and Associations relative to the preparation of real estate practice forms, licensing laws, rules, and regulations. Sullivan is a designated instructor for the National Association of REALTORS®, the Montana Association of REALTORS®, and the Graduate REALTOR® Institute. He has served as a guest lecturer at the University of Montana School of Law, Montana Bar Association, and Montana Land Title Association. He has appeared as an expert witness in a number of litigated cases involving real estate issues. In addition to his law practice, Sullivan operates a seminar company providing continuing education to real estate licensees and attorneys. He is a REALTOR® and holds real estate licenses in California and Montana. Chris Tierney began his career in Property/Facility Management in 1999 as an on-site member of a multi-family property management company. He worked his way through the ranks over the years, moving from an on-site supervisory role to a regional portfolio lead, followed by managing a national portfolio. He has been a licensed managing broker since 2006 and maintains the role of managing director for an independent real estate office. Tierney holds nearly two-dozen licenses, designations, and certifications within various real estate concentrations and stays engaged with multiple associations throughout the U.S. He is currently a licensed instructor and university adjunct faculty member teaching real estate, property management, and facility management-related courses to adult learners. Tierney prides himself on supporting other real estate professionals and our military members as a training manager in the Air National Guard. Roger Truemper has an extensive and diverse legal background that brings a unique perspective in addressing and solving the needs of his clients. He practices in the areas of commercial and business transactions, residential real estate, commercial litigation, leasing, landlord-tenant, land use, and land development. Truemper believes it is important to work collaboratively with his clients and enlist a variety of legal disciplines to address both short-term and long-term goals. A frequent lecturer at real estate law seminars, Truemper has worked closely with advising local boards of REALTOR® and realty companies. He has written real estate publications for the National Business Institute and the Delaware State Bar Association. When not practicing law, Truemper can typically be found outdoors – camping, hiking, and kayaking. Dee A. Young - Broker/Trainer/Mediator/Negotiator. An active Indiana Independent Real Estate Managing Broker, Young is experienced in all aspects of general real estate practice. She is a Right-Of-Way Negotiations/Acquisitions Specialist/Consultant for the Indiana Department of Transportation (INDOT), engaging in government/public purchase of private property. Young's a member of MIBOR REALTOR® Association, the Real Estate Education Association (REEA), the Indiana Association of Mediators (IAM), and a Founding Member of the Indiana Real Estate Independent Brokers Association (IREIBA). Young holds multiple designations and certifications including, National Association of REALTORS® (NAR), GRI, CRS, ABR, AHWD, BPOR, e-PRO, PSA, MRP, and SFR, is a Graduate of the Indiana REALTORS® Leadership Academy, and a Master Certified Negotiation Expert® MCNE. An NAR Certified Mediator since 2012, she serves on Professional Standards Committee of MIBOR as an Arbitration Panelist and Mediator. A former 10-year member of Toastmasters International, Young was honored as the Greater Indiana Toastmaster of the Year and earned her DTM Distinguished Toastmaster designation. Young recently joined The CE Shop, Inc as the Indiana Instructor of Record and Subject Matter Expert (SME). 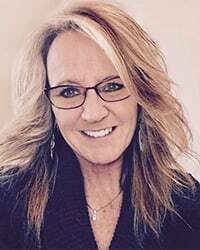 She is an Indiana Real Estate Licensing Pre/Post and Continuing Education Instructor, The RENI Instructor-Indiana for the Real Estate Negotiation Institute (RENI) and a Contract Trainer for REALTOR Property Resource® (NAR RPR®). Previously with the Real Estate Certification Program (RECP) and the International Right of Way Association (IRWA) as a CLIMB Certified® Instructor, she’s taught in Indiana, Kentucky, Kansas, Virginia, and Wisconsin. Young's special brand is "Info-Edu-Tainment" - Learning is so much better when it's fun!